As instructional designers, we need to create a few documents based on which the developers work and come out with an online learning course. We use applications such as MS-Word and MS-PowerPoint to create Design Documents, DCOs, Storyboards, Audioscripts, etc. In this post, we will look at WHAT these documents are and WHY they are important. MS-Word and MS-PowerPoint are user-friendly applications that help us quickly create documents with a professional look. WHAT is it:A design document specifies alldecisions made about the course. 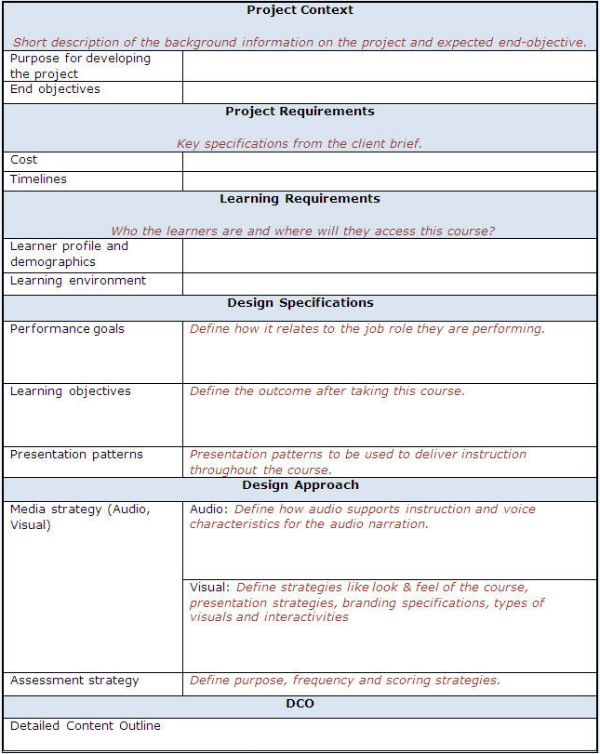 It includes the purpose of the course, the intended outcome (such as the performance objectives of the course), a description of the learners, the delivery method used, instructional stratgegy, media strategy (audio and visual strategy) and assessment strategy. 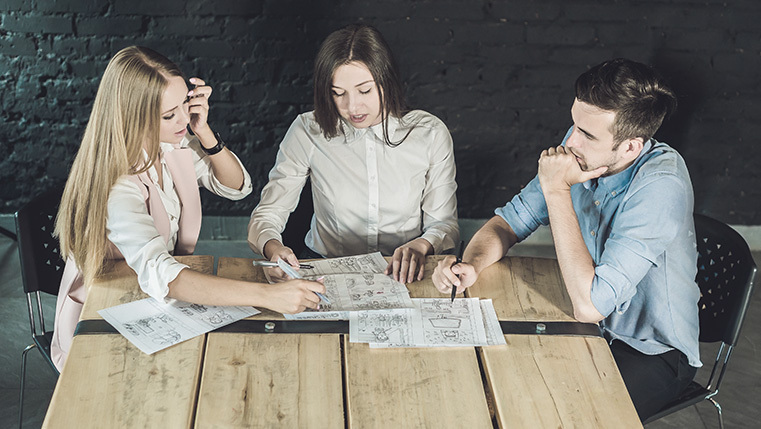 WHY is it important: The purpose of creating a design documentis to make all involved parties (clients, reviewers and team members) agree on the vision and plans for the course. Here is a template of a design document. 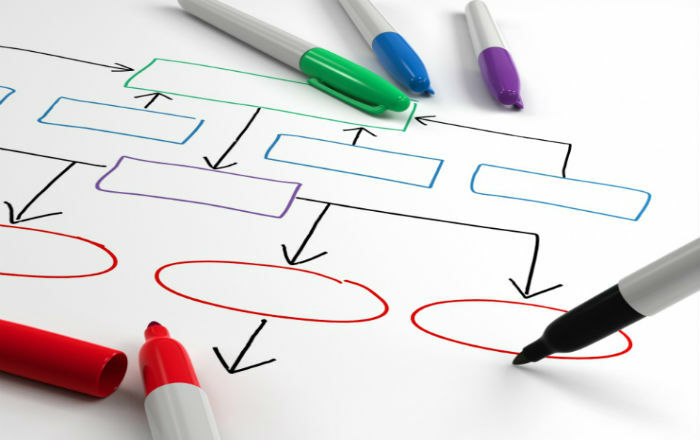 WHY it is important: The DCO serves as a draft storyboard and gives visual designers and instructional designers a rough idea to begin their work. Here is a template of a DCO. WHAT is it: A storyboard is a blueprint of an elearning course. 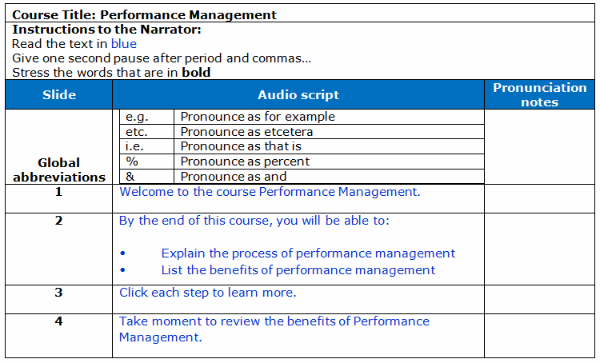 It explains every screen in the course, including what learners will see, hear and do. It contains instructions for using videos, audio, visuals and interactivities. 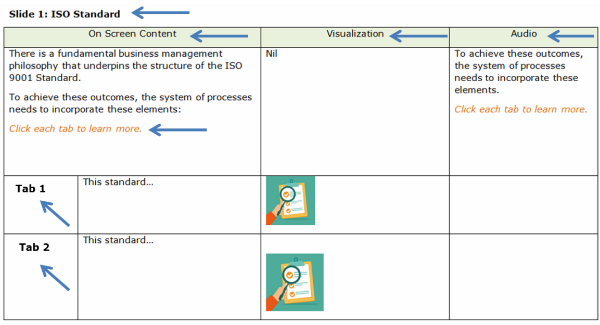 WHY is it important: A storyboard enables collaboration with the SMEs and development team. 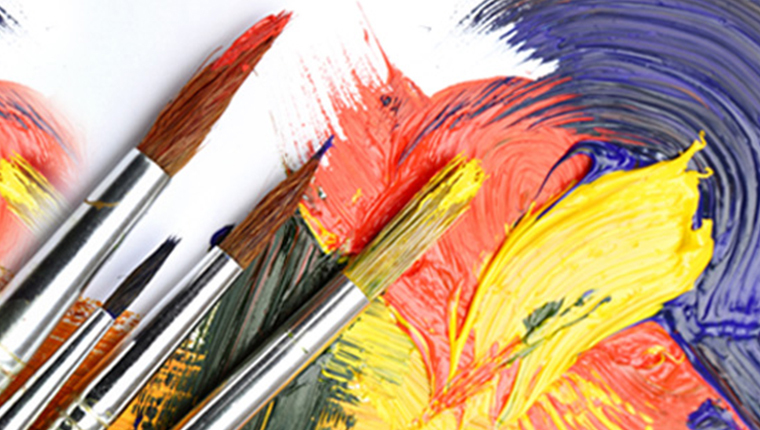 It helps set expectations, by clearly defining how the e-learning course will look. It acts a quality assurance tool when the course is developed. 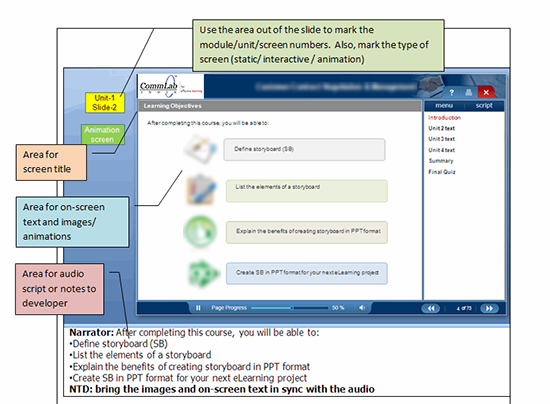 A storyboard can be developed using MS-Word or MS-PowerPoint. Here are a couple of templates, used to create a storyboard. WHY is it important: Specifying these elements help develop an error-free audioscript, which in turn ensures easy recording by the narrator. Here is a template of an audio script. To summarize, these are some of the important tools/ templates of an instructional designer which help maintain consistency and save time. Hope you find this blog useful. Do share your views.